Earlier this week we went to a garden store and I promised the kids they could pick out a plant for their garden. 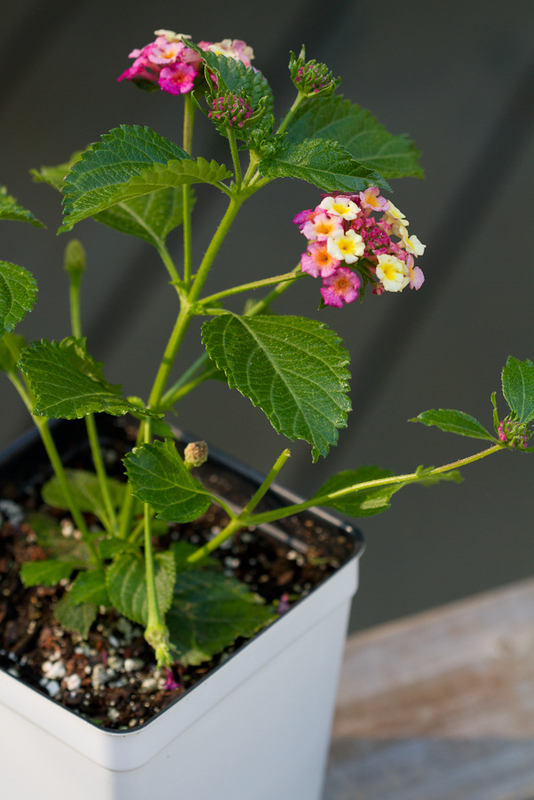 Miss D is a little too small yet to have much of an opinion, but Mr. D quickly settled on this colorful lantana. He was very particular about waiting until he was “ready” to plant it. Here he is hard at work, patting down the soil around his new plant. Here is my next course of action. 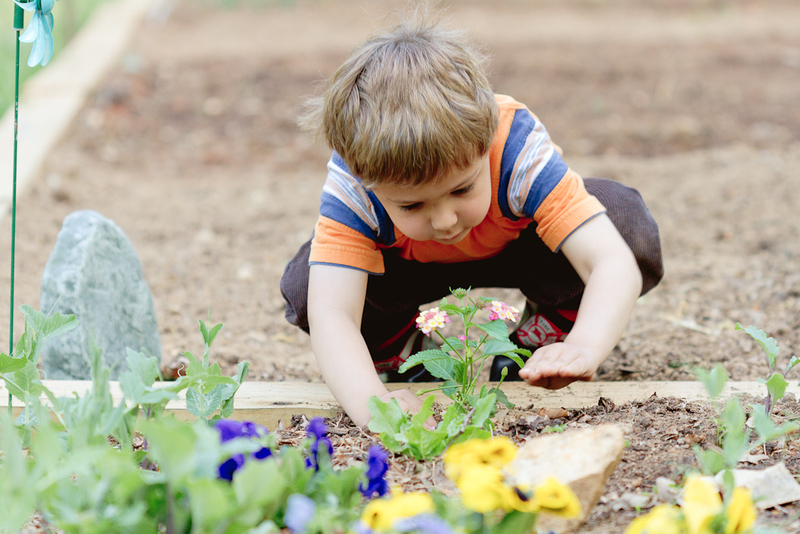 Talk with my kids about edible versus poisonous plants and how they shouldn’t taste or eat any berries, leaves, or flowers, unless Mommy, Daddy or another trusted adult says it’s okay. Institute a new rule: edible plants only in the children’s garden (or at least no poisonous plants). Find myself a good list of poisonous plants (native to Virginia, or common household plants) and familiarize myself with it. Phew. I was feeling like a bad mama… letting my kids put a poisonous plant in their garden. But now that I have a plan for fixing it, I feel better. While browsing the kitchen gadget aisle at the grocery store the other day (one of my favorite aisles, by the way), I saw they had some freeze pop molds. 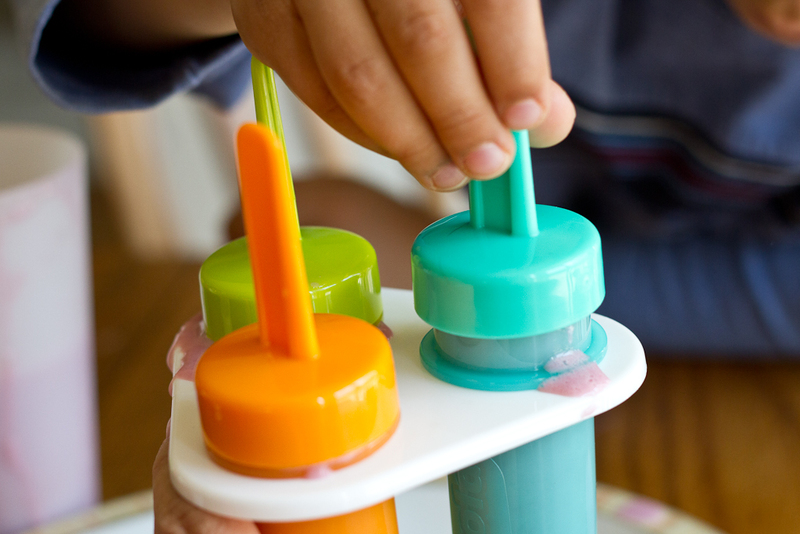 Making our own freeze pops is something I’ve been thinking of doing with the kids for quite a while, but I didn’t have the molds. I thought it would be fun to whip up a delicious and healthy treat and get them (well, at least my oldest) involved. He likes helping in the kitchen. So, I grabbed the last two sets of molds in the store. * For the berry juice, we used some black raspberries that we had in the freezer. My father-in-law picked a bunch last year and gave some to us and, frankly, I forgot they were in there. (Woops!) We put about a cup (give or take) of berries in a sauce pan and heated them over medium heat until they were soft and juicy. Then we mashed the berries and strained the juice. I added about three level tablespoons of sugar to the juice to compensate for the fact that I was using plain yogurt rather than the vanilla-flavored yogurt that the recipe called for, as well as our own pure berry juice, rather than using store-bought juice. I worried that without a little sugar, the pops might be too tangy. Once the sugar dissolved we added enough water to the juice to make the total volume 1 cup. We mixed all of the ingredients together in the blender, and then D filled the molds! Some friends came over for dinner that night and their daughter and D each had a freeze pop. They both loved them. In fact, she liked the pop so much that she wanted a second and even asked for the recipe. Success! 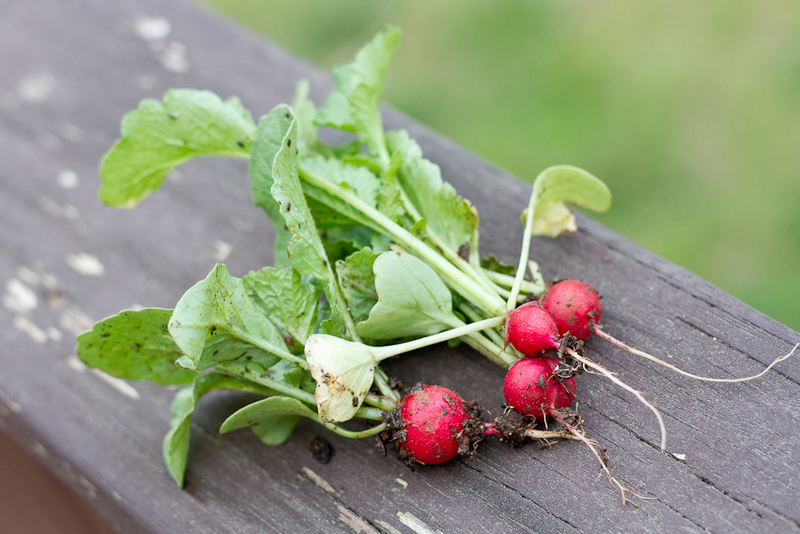 Here are our first radishes. I couldn’t get D to taste them, though. So I ate them, and they were delicious. I took my son to get a haircut the other day. He wasn’t really into going, so I *might* have bribed him just a little by promising him one of those little dinosaur excavation kits. (They sell them in the waiting area.) The kits are marked “7+ years”, but I knew he would enjoy it, if he could find the persistence to keep digging. We got two. Then… finally he found a “bone”! He was soooo excited! While my son was playing archaeologist, I made some homemade playdough for my daughter so she could try making a play dough Mr. Potato Head. 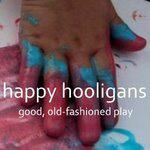 I saw this idea on Happy Hooligans blog and thought it was genius, especially since the real Mr. Potato Head can be a little challenging for little hands! Both of my kids loved it, actually. 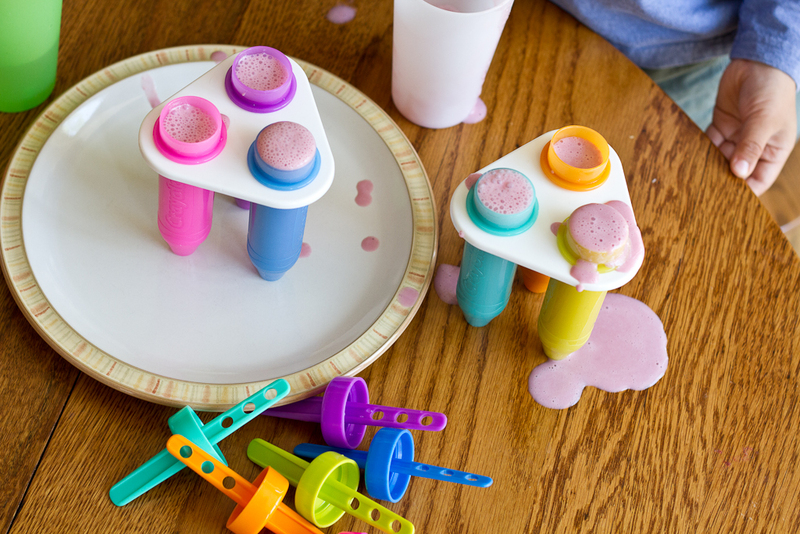 In case you are wondering, the homemade play dough recipe I used can be found here. It’s very easy and makes a nice big softball-size ball of dough! The recipe is pretty forgiving, too. It mixed up perfectly the first time I did it; but the next two times it was too wet, so I just kept adding flour (a tablespoon at a time) until it was right. 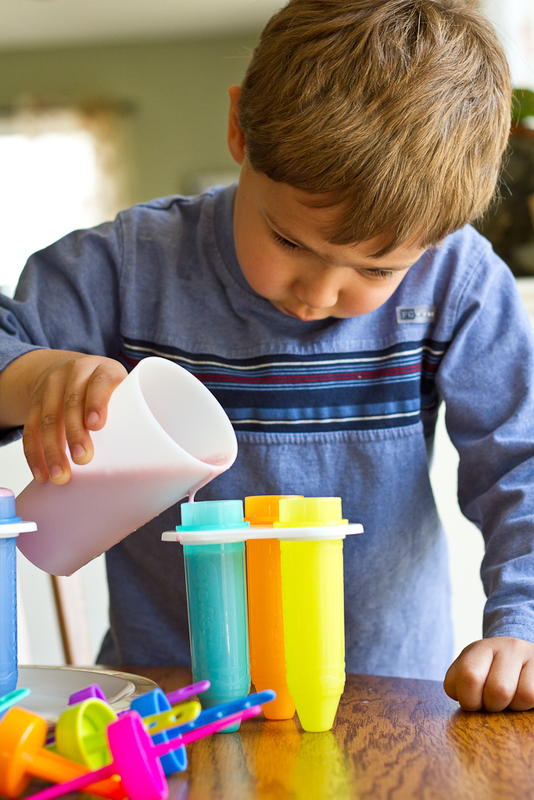 The play dough will keep for quite a while, if you store it in a ziplock bag or tupperware container. If you find it getting a little dried out, just splash a little water onto the outside and knead it a bit; it’ll be good as new! I even added some lavender oil to one batch to make a pretty-scented dough. Give it a try!